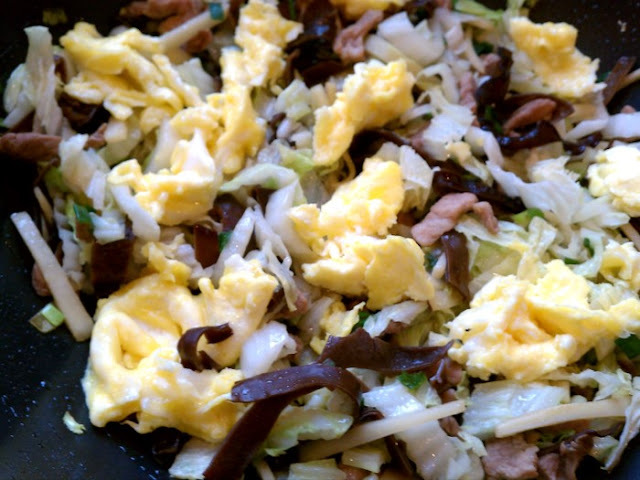 The Daring Cooks: Moo Shu ~ I Can Do That! Thanks Shelley and Ruth for introducing me to Moo Shu. 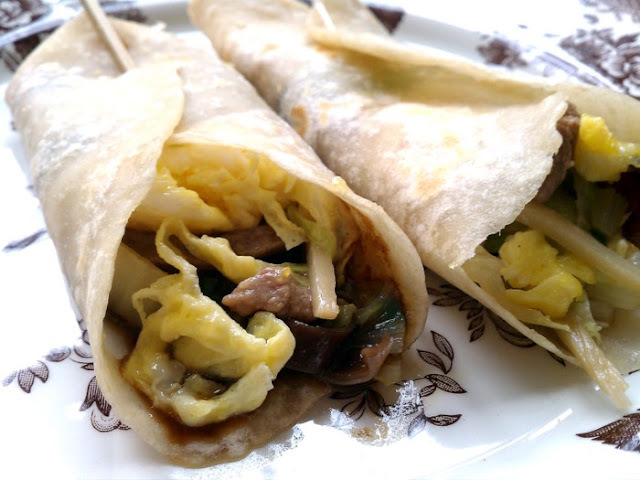 Although Chinese food is one of my favorites, I have never tried moo shu in restaurants or at home. We liked the dish but there's too much preparation involved. I think it's best to go to a restaurant when I feel like having some moo shu. But it's worth all the work to at least make it once at home. I followed all the recipes as written but I find the Hoi Sin Sauce too salty and runny for me so I prepared one that has no soy sauce, the recipe adapted from St. Michael Cookery Library CHINESE COOKING by Deh-ta Hsiung. I love your Moo Shu and your photographs. And I will have to give your hoisin sauce recipe a try - I am always up for new recipes! Thank you so much for cooking with us this month! Your Moo Shu looks great! Wow great picture of your stirfry, so colourful. Gorgeous Stir fry Oggi! And your pancakes look perfect. Great job! Oggi, your Moo Shu is stunning. 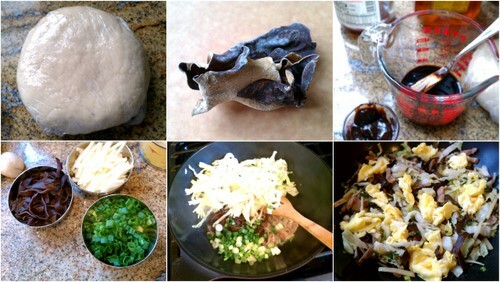 I love your recipe for the hoisin - bookmarked to try it, and of course, your photos are stunning! BTW, did you receive the candy book from the candy challenge?? This looks very delicious, Oggi! Gorgeous Moo Shu, Oggi! I love your step-by-step pics.